You might have heard about one of the latest food crazes, Quinoa (pronounced KEEN-wah). This little superfood is loaded down with nutrients. It's one of the few plant foods that is considered a complete protein, actually containing all 9 essential amino acids. It's also super high in antioxidants, magnesium, iron, B vitamins, calcium, potassium, phosphorus, and vitamin E. Quinoa is also a great source for fiber. 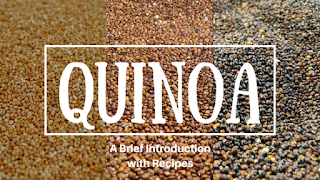 Quinoa comes from South America, where it was grown as a major food source for thousands of years. It's used in the same way we use grains, but it's technically a relative of spinach and chard. The part we eat is the seed, cooked like rice. However the leaves are also edible. The seeds are coated in saponins, which are bitter compounds that could make you slightly ill if consumed too heavily. This is why you should rinse your quinoa before cooking it. Most commercial quinoas are already rinsed, but I prefer to play it safe and rinse them again. Due to it's amazing amount of nutrients, quinoa has been used to help a number of health problems. Quinoa has shown major promise as an antiviral, anticancer, and antidepressant. It's a well-known anti-inflammatory. Quinoa helps to lower cholesterol, reduce blood sugar, and help with weight loss. Since it's not a grain, quinoa is gluten free. Quinoa helps to prevent cardiac disease, prevent kidney stones, and improve liver function. With all these amazing health benefits, who wouldn't want to at least give it a try in their diets? You can cook quinoa the same way you cook rice, and you can use it in place of rice in any recipe. I have used quinoa in salads, to stuff vegetables (like bell peppers and tomatoes), in place of oatmeal in cookies, etc. 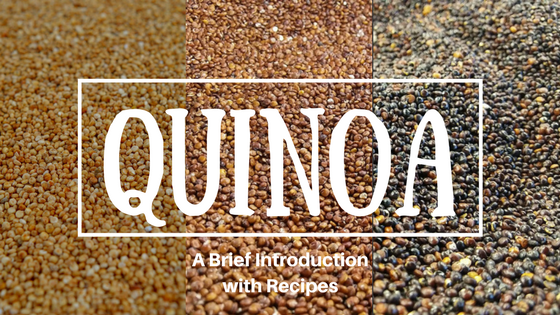 But I thought you might be interested in a few recipes so here are some that should give you a good start on using quinoa in your kitchen. for around 7-8 minutes. Transfer mixture to a large bowl. Add in remaining ingredients, and the flax seed mixture. Use remaining olive oil to lightly grease a baking sheet. Shape mixture into ¼ cup patties with damp hands. Pack them tightly so they stay together. Place them on a baking sheet, leaving space between each one. Bake for 15 minutes. Flip the patties. Bake an additional 5-10 minutes, or until golden and firm. Let cool for 5 minutes, then serve! Preheat oven to 350ºF. Combine cooked quinoa, oregano, basil, thyme, and garlic. Add salt and pepper to taste. Mix well and set aside. Slice eggplant into ¼ inch thick rounds. Season with salt and pepper. Working in batches, coat the eggplant in flour, dip in your beer, then dredge in your quinoa mixture, pressing firmly to coat. Place in a single layer on a greased baking sheet. Bake for 10 minutes, turn over the eggplant and bake for an additional 10 minutes. Top with marinara and cheeses. Cover and bake 15-20 minutes longer. Remove the cover and return to the oven until cheese is lightly golden. Preheat the oven to 400°F. Place the tomatoes and garlic on a lightly greased baking sheet. Roast for 45 minutes. Spread the quinoa on a separate, greased, baking sheet. Roast for the last 15 minutes of the tomato roasting time. Put the tomatoes and garlic in a food processor, or blender, and process until smooth. Meanwhile, in a large stock pot, sautèe the onions, corn, and diced jalepeños about 10 min. Add broth and tomato mixture. Bring to a boil and reduce the heat to low. Simmer for 30 minutes, uncovered. Stir in remaining ingredients and bring back to a boil and simmer 5 minutes. Remove from heat and serve. In any of these recipes, feel free to substitute, play with different dressings or seasonings. Add curry to the Quinoa Burgers to give them a different flavor. For those of us who may eat meat, use chicken instead of eggplant for your Parmesan (just cook it a bit longer so that the chicken is well done). There are also a few other quinoa recipes on previous posts, such as this one from July. Have fun, play around, and let me know what you think below! Quinoa recipes are rather rare than the others in practical life. Its so nice of you to come up with these recipes for newbies like me. Thanks for sharing the information and more for the recipes. I'm glad you can find it useful! I love Quinoa and am always trying to find new recipes.